Luke MacFarlane is a notable Canadian actor who captured the heart of millions with his phenomenal portrayal of the character, Scotty Wandell on the popular television series, Brothers & Sisters. He also moved on to showcase his incredible acting skills as RAC Agent, D’avin Jaqobis, in the Space television science fiction series, Killjoy. Following his work ethics and outstanding performances in his movies, the renowned actor has gathered a huge fan base. Read on as we unveil interesting details regarding the skilled actor’s early life, movies and his sexuality. Luke MacFarlane was born into the family of Penny and Thomas MacFarlane in London, Ontario, Canada, in 1980, he always celebrates his birthdays every 19th of January. MacFarlane is from a family of professional health workers as his father, Thomas worked with the University of Western Ontario as the Director of Student Health before he died, while his mother works with London Hospital as a mental health nurse. He was raised together with his twin sister, Ruth MacFarlane and elder sister, Rebecca MacFarlane. He grew up with his family in Ontario. MacFarlane is a Canadian national and possesses a White ethnicity. 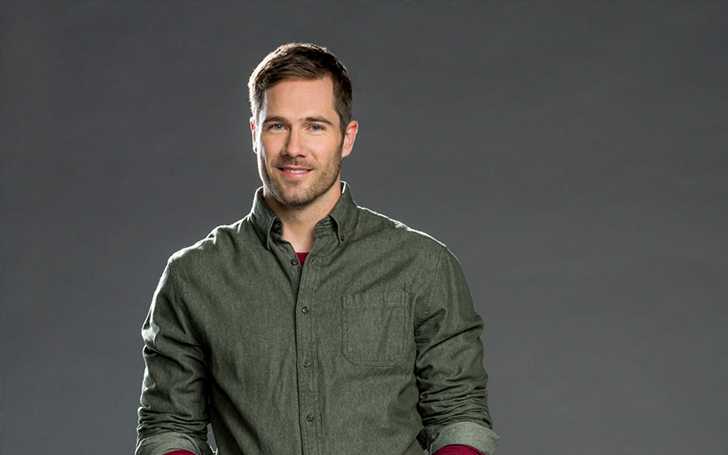 Regarding his education, Luke MacFarlane completed his basic education from London Central Secondary School and later graduated from Lester B. Pearson School for the Arts. He also studied drama at Juilliard when he moved to New York. The sensational actor made his first movie appearance in the 2004 biographical film, Kinsey, where he was cast to play the role of Bruce, alongside notable Hollywood actors including Chris O’Donnell, Liam Neeson and Oliver Platt. The brilliant actor then followed it up by landing several roles in numerous movies, including playing the role of Lieutenant Sefton in Recalled, featuring in Erection as Dean and also as Peter Harris in Rock Paper Dead. The highlight of his notable movies where he has played lead roles includes The Mistletoe Promise, Christmas Land and Maggie’s Miracle. 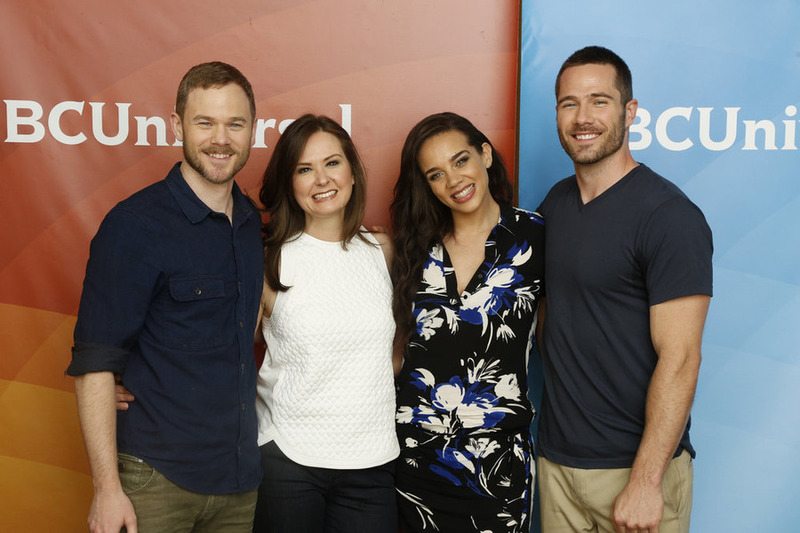 However, Luke MacFarlane rose to the mainstream as a result of his jaw-dropping portrayal of Scotty Wandell on the ABC TV series, Brothers & Sisters. Additionally, the talented actor has also featured on a good number of TV shows where he has put his brilliant acting skills into play and they include starring as Chaplain Hopkins on PBS’s Mercy Street, Rick Lincoln on NBC’s The Night Shift, Jason Howell in the Canadian sitcom, Satisfaction and RAC Agent D’avin Jaqobis in the Space television science fiction Killjoy. Aside from his flourishing career in acting, Luke MacFarlane is also a musician. He developed a strong interest in music since his early age and further moved ahead to form a band called ‘Slipnaught’ when he was in his 8th grade at Lester B. Pearson School. After a while, the group decided to change the name of the band to ‘Fellow Nameless’, of which Luke MacFarlane penned down most of their songs as he was their lead vocalist. Furthermore, the multi-talented musician was also a theatre actor. He was among the four leads in the play, Juvenilia, at the Playwrights Horizons Theatre, where he was a stage actor from 14th November to 21st December 2003. Soon afterwards, he was cast to play a main role in the play, Where Do We Live which was premiered at the Vineyard Theatre in May 2004. Interestingly, the production was nominated during the 2005 GLAAD Media Awards for Outstanding New York Theatre: Broadway and Off-Broadway. Is He Gay, Who Is The Boyfriend? By all indications, Luke MacFarlane is very much interested in people of his own gender as he publicly made it known that he is gay in April 2008, during an interview session with The Globe and Mail. The renowned actor further revealed his close relationship with a few Hollywood celebrities such as Wentworth Miller. Almost soon after breaking up with Miller, Luke MacFarlane entered into a romantic affair with another actor Chad Slivinski. He later disclosed having a strong bond with film director, Charlie David which didn’t last for long. Following his several love affairs, there is no concrete detail on who he is currently dating. However, Luke MacFarlane has not entered into any marital relationship as he is still unmarried.